Get your glow! 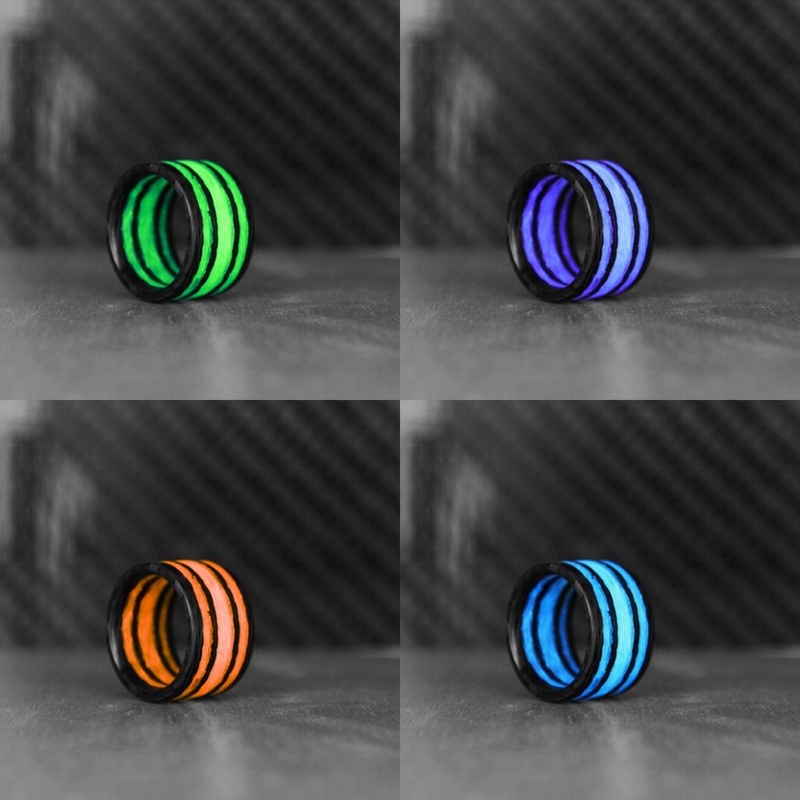 Get your glow with the Triton Carbon Fiber Glow Rings! Surprising no one, I came across a glow ring project on Kickstarter, and I’m here to tell you about it. The first time I did that was back here in April of 2017. I backed that one, got the wrong size in, sent it back, and then the brand went silence. So, an object lesson in our warning of “buyer beware” when it comes to crowdfunding. If your curious, though, the Triton Carbon Fiber Glow Ring has a very, very nice starting price. Now, if you’ve been looking at glow watches at all, particularly those made with carbon fiber, you start to see that a lot of the brands produce rings that look rather similar. In fact, when I saw this project, it reminded me a lot of what Rune Refinery creates, so I asked them about that. Triton states that they do work with Rune Refinery (the project page reveals that Dailin is an employee there), but their material (these rings are generally created from large slabs) is made in the US, whereas Rune Refinery sources theirs from the Netherlands – hence the price savings. Speaking of, the Triton Carbon Fiber Glow Ring has early-bird pricing starting at just $35, which is quite a nice price to try out a glow ring. Additionally, these rings are available in three different widths, and four different colors, which should get you a ring that matches what you’re looking for, for whatever finger you may wear it on. And, unlike some of the other CF rings out there, the glow strips seem to be pretty visible in daylight (albeit not glowing) so you have a bit of color there (though, I suppose some may prefer the more stealthy option).